This caught my attention straight away as I was lurking on the Neoboards. I entered the board, curious to see what it was all about. Apparently the board creator would be rating any Neopet name on a scale of one to ten. A few moments later, I was feeling sort of confused. A pet with a beautiful made-up name had just received quite a low rating, while another pet, with a name consisting of two letters, not even capitalized, had received a high rating and some acclaim. Another pet with a so called 'real word name' (meaning literally, a word that's real, like 'dream' or 'dance') also received praise and a high rating. In fact, someone else must have felt the same as I did, for they asked for the reason behind these strange ratings. "Well, anyone can put together a bunch of random letters," replied a rather disdainful fellow. My first thought upon reading that was, well, anyone can open up a dictionary! The craze over having 'well-named pets' is a rather interesting one. It certainly pleases me that people are giving more attention to naming their pets, being sure to capitalize the first letter and giving them mostly pronounceable names. While an underscore or a number here or there has never bothered me, it always makes me sad to see a nice pet with a name that seems to have had so little thought put into it, like blw38374, or 8_9_vv_22. Such is not always the case, as occasionally those seemingly random underscores and letters have a special meaning to their owner, but not always. And then there are those that say 'a Slorg by any other name is just as slimy' and could care less about names. But this article is not about them, or their slimy Slorgs, so we shan't go into that now. In any case, I can understand the rising interest in pet names. Think about it; on a site with thousands of users and hundreds of thousands of Neopets, its not an unreasonable thing to want your account and pets to be a little different than everyone else's. Customization has made it possible for everyone to have a different looking Plushie Kacheek, instead of all Plushie Kacheeks looking exactly alike. This has contributed to its popularity. The same goes for names. You can distinguish your account in many ways and one of the fail safe ways to do so is by careful naming. Every pet name is one hundred percent unique. No matter what, no two pets can exist that have the same exact name. They can be similar, but never totally the same. So if your pet not only has a unique name, but that unique name is one that many other people are interested in having, its kind of like the icing on the cake. He may be a red Acara like a hundred others, but with his four-letter-real-word-capitalized name, he can now truly shine. Still, the name craze has its downsides. Names now can add or detract from a pet's 'value' when it comes to pet trading or rating and so-called 'name snobs' run rampant on the site, making rude comments to people with what they consider to badly named pets. (I exaggerate for the sake of drama; plenty self-proclaimed name snobs are quite nice and polite.) And, of course, there's appearance of trends. *shudders* So what are some of the current trends for pet naming? Well, if your pet has a short name, that name is better than a pet with a long name. A real word name like 'Pie' is better than, say, 'Yarn' because three letter words are better than four letter ones. A real word without suffixes or prefixes is better than one with them. A pretty-sounding made up name like 'Ariolanas' can not compare to the real word 'Gesticulate'. And if you must have a word that is not real, it had better be composed of three to four letters without numbers or underscores and definitely the first letter must be capitalized. 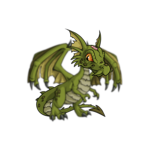 I have seen a pet with a three letter name being traded for as much as a Draik, and basic pets with only four letters in their names being traded for valuable painted pets. Also, did I mention that the name should be pronounceable? (Yet despite their supposed rarity it only took me a few moments of typing random letters in the search bar to come up with an available pronounceable four-letter name.) Basically, the value of the name is directly linked to its rarity. 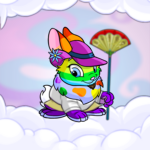 But what I want to ask is this: as appealing as it might seem to have a Neopet called, for example 'Sky', is it really as unique and special as we've been lead to believe? Well, it's a great name. I wouldn't mind having a pet with a name like that. However, let's think for a moment. Any real name has a score of misspelled twins, other attempts of people trying to have that same name. It is much sought after, after all. So in result, you might have Skye, Skie, Skys, Skies, Ssky, Skyy, Skiy, Skey, _Sky, Sky_, _Sky_, Skii; the list is endless. So 'Sky' is really just the the proper spelling of a word a hundred other people have. Whereas a made-up name like the one I mentioned before (Ariolanas) is less likely to have misspelled clones. And I forgot to mention, what about the word 'sky' in different languages? French, Spanish, German? So anyone can put some letters together... well, it seems to me that with the rise in popularity of real names, anyone can find themselves a real word to name their pet. I was actually able to find a few available real word names with the help of a dictionary. They were taken a few days later, though. Of course, purists might argue that names like 'Dancingly', 'Daringful' or even 'Repurple' don't really count as true real names, since they have unwanted prefixes and suffixes attached. (And because they aren't really real words.) So even amongst the real word names system there is an entire hierarchy. Still, what is all the fuss about? Rarity? When you think about it really, there are literally thousands of English words, thousands more of each and every language. But most of them have been used already, so it's not a case of them being so much rarer than made up names, simply that they have a finite amount whereas made up names don't. If you manage to get your hands on a common real word pet, you are simply one of the many thousands to do so. Maybe most of those with common real names are frozen, or no longer play Neopets, but they are still there. The great popularity of real names is, I think, just getting weird when you see a beautiful Royal Girl Kyrii, with a dainty and refined personality and her name is 'Building', 'Filthied' or something equally boring or reviling. Having a real name just for the simple sake of having a real name without any thought to the personality or look of the pet just doesn't seem right to me. Unless of course a name that doesn't suit him or her was chosen for irony or some other reason. A cute pet with a fierce personality with an equally fierce name is wonderful. But it simply confuses me when I see a pet named 'Remeasure' and I have this nagging feeling that they were only called that because it was an available real word name and real names are trendy, not because it was a suitable one for the pet. Of course, there's nothing wrong with real word names, or very short names. But it is an odd thing to see pet naming, which I had previously considered a personal thing, being turned into 'pet value'. I love naming pets, and all my pets have names that are special to me. They're named after characters from beloved books, after characters I created myself for my own stories and so on. I have a pet with two capitals in his name, and another one with a horrible name, filled with numbers and underscores. I traded for him specifically to have a pet whose personality revolved around his terrible name. I guess the point I'm trying to make is that with all the possibilities out there, and all the names you could give your pets, limiting 'good' pet names to short, real word names is kind of boring. There are so many options, so many fun things to do! I've seen pets with names that are sentences, puns, statements, acronyms and so much more. In the end, give your pets names that you love, names that they will love, not the trendiest names of the moment. Or else, when the trend flips and suddenly long names are in, how will you feel about your hard-earned two and three letter named pets then? Disclaimer: While discussing the topic of real world names, I found myself compelled to come up with examples. When I mentioned common real world names, I tried to stick to those pets whose owners have not logged in for a 'long, long time'. Even so, please do not Neomail the owners of these pets asking to trade or adopt their pets! Feel free to Neomail me your comments and opinions! :) Have a nice day! As Ganduo walked, he was aware that there was little need to worry. No Neopets were foolish enough to be caught outside in the middle of the Lunar Festival. "She was apparently blasted by the Snowager. That was two days ago, and she hasn't been conscious since."